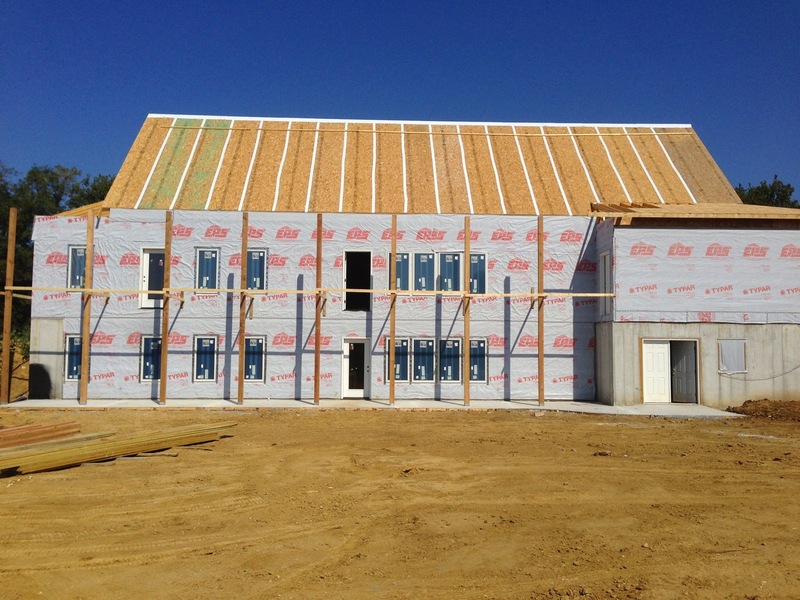 We have progress in the front and back of the house. We also have doors all around. Two in the front, and four in the back. Its a lot of doors and a lot of future locks. For some reason, I have yet to take a picture of the doors. 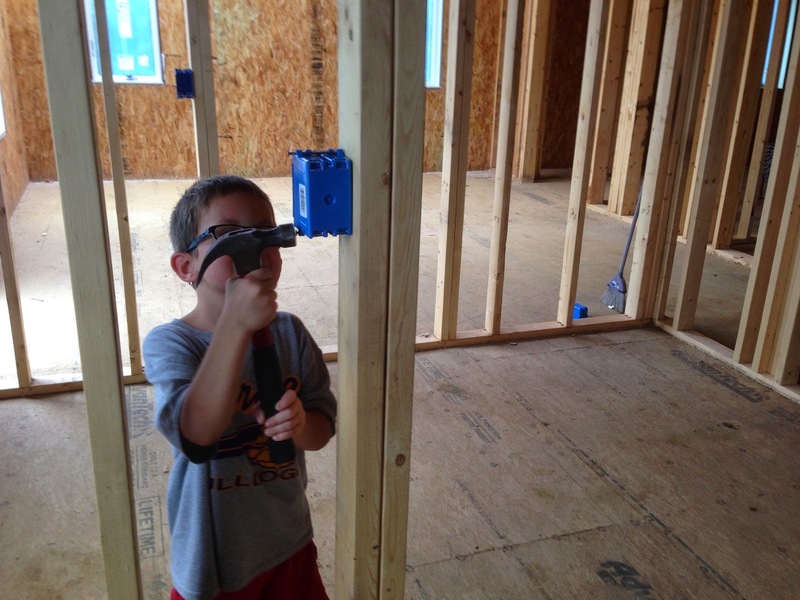 A few days ago Reed and Will helped me install some electrical boxes. 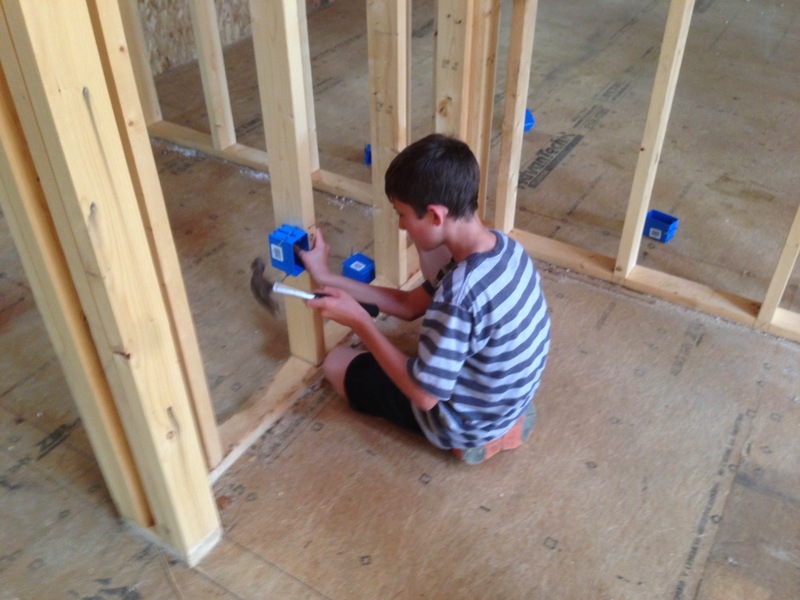 They had a good time; much more fun than picking up scrap 2x4's, which is what they have been doing when they help. We also got our back beams installed. We were happy to see them come in, as it was the next step before we can get the back deck on. Once the deck is on, we can put on the back porch and get the roof in. We used eight 20' cedar 6x6 posts. I had the framers install them, so they would get put in nice and straight (not that I doubted myself).